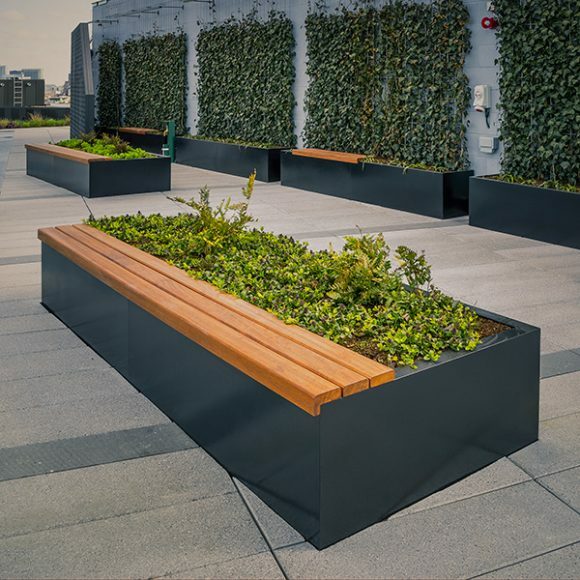 Bench18 is a stunning, versatile bench and planter combined. 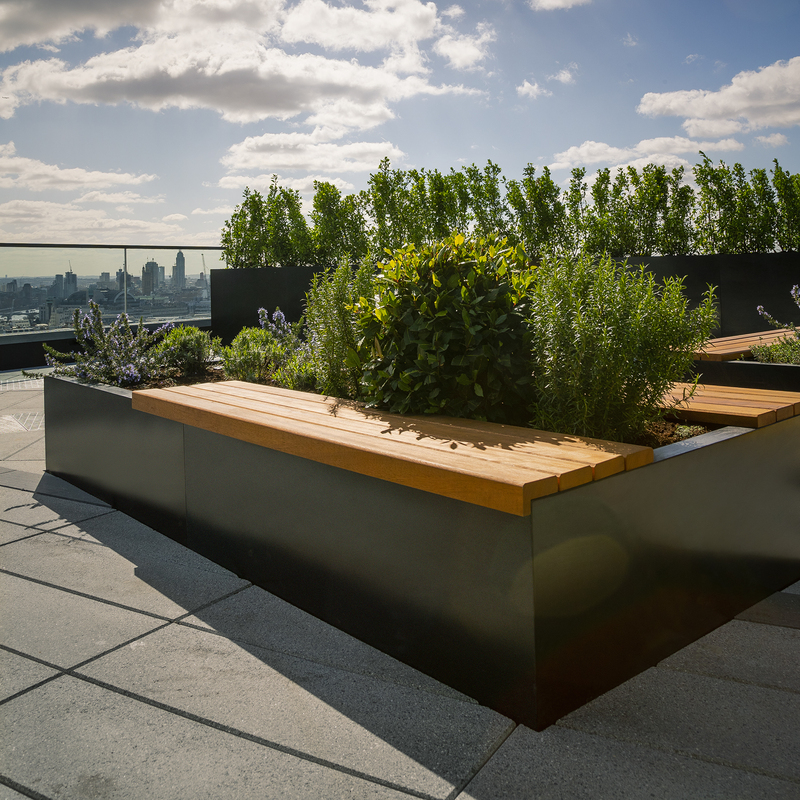 The bench sits on top of the planter and can be the whole length or just a part. The width of the bench alone, as standard, is either 295mm or 331mm wide. 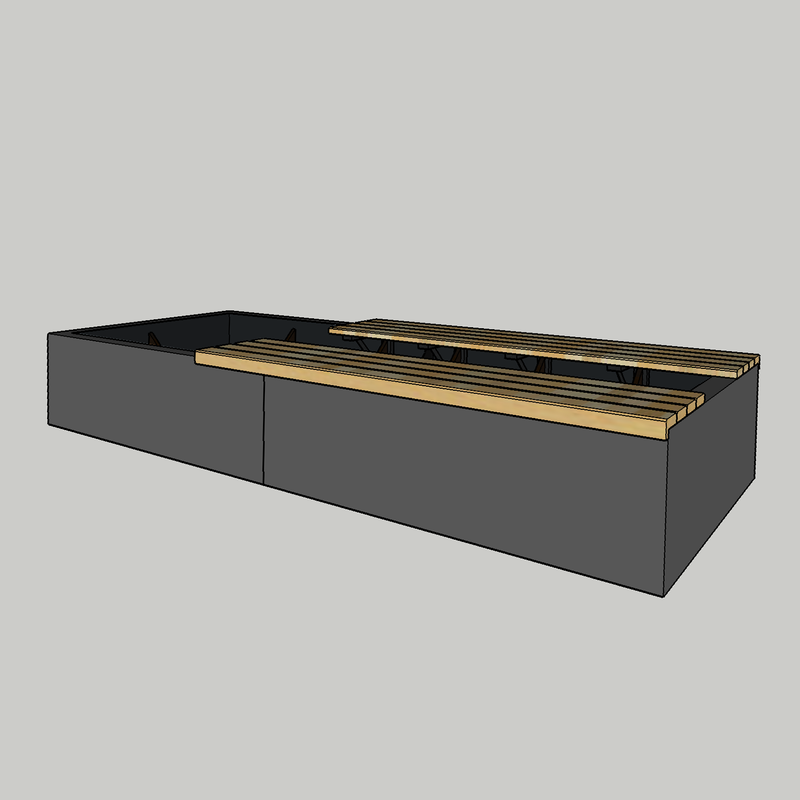 The beauty of this design is it can be fitted to most of our standard large or extra large troughs, as single or multiple units. Therefore it is available in a huge range of sizes. There is a variety of timbers available to choose from for the seating. The planter is available in any RAL colour matt, satin or gloss finishes, but looks particularly stunning in metallic effects. Bespoke sizes are available, please contact a member of our estimating team for details. 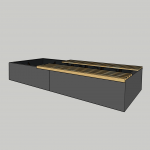 An example of a bespoke size is shown below as a sketchup model. This was made from 2 planters making 2800mm long, 1230 wide and 500mm high. The seat was made 383mm wide and 1750mm long.